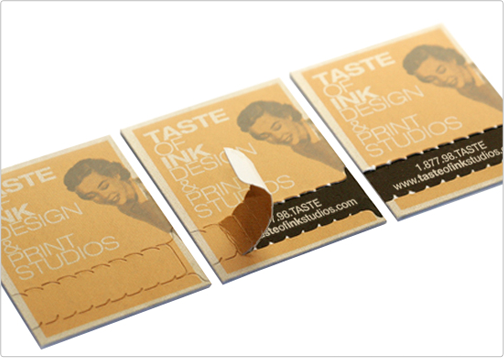 Taste of Ink Studios provides custom printing and design for companies world-wide. 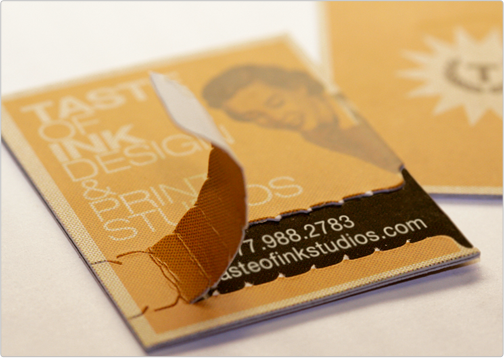 This particular business card was designed by Taste of Ink to display our print departments versatility and our studios design abilities. 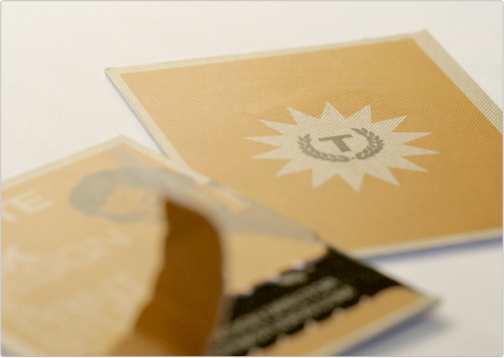 The card contains a tear off strip in the middle which hides the contact information on the business card. The card is a 16pt silk matte finish stock and was created by binding two stocks together through the use of an adhesive.